Learning by doing, Plan9’s effort to promote entrepreneurship at the grass root level. Imagine being surrounded by young kids, say those in secondary school, at your workplace. Sounds strange yet exciting, does it not? Honestly, it is ‘strange’ because growing up, my friends and I never thought of developing our own websites, creating videos or designing robots. Yes, robots! When we were young, our summer vacations were all about playing cricket on the streets or taking a trip out with family. We grew up in ‘simpler times’. Hence having tons of chirpy, bright kids setting camp on the floors of, what could be termed as a premier startup incubator of the country, does tend to paint a rather “strange” picture for many of us. For an entire month, brilliant children came in every morning craving to learn new skills every single day. Targeted programs were designed for them. 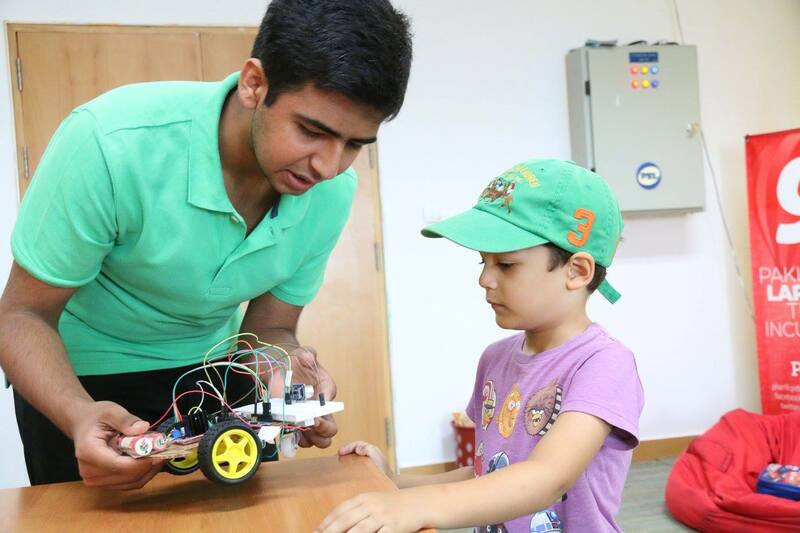 The Robo9 geared them up to get comfortable with electronics and mechanics, the WhizKids program lets them discover their passion for coding, designing, blogging and photography to name a few. It was an extremely rigorous internship program that provided High School children with a fantastic opportunity to work with some of the most formidable startups, enabling them to experience how things work in the real world. Apparently, it may seem like a rather simpleton approach towards training a handful of children with new skills; not judging the book by its cover, there’s much more to the ethos that drives these programs, thus making all this effort extremely worthwhile and as I claimed, ‘exciting’! 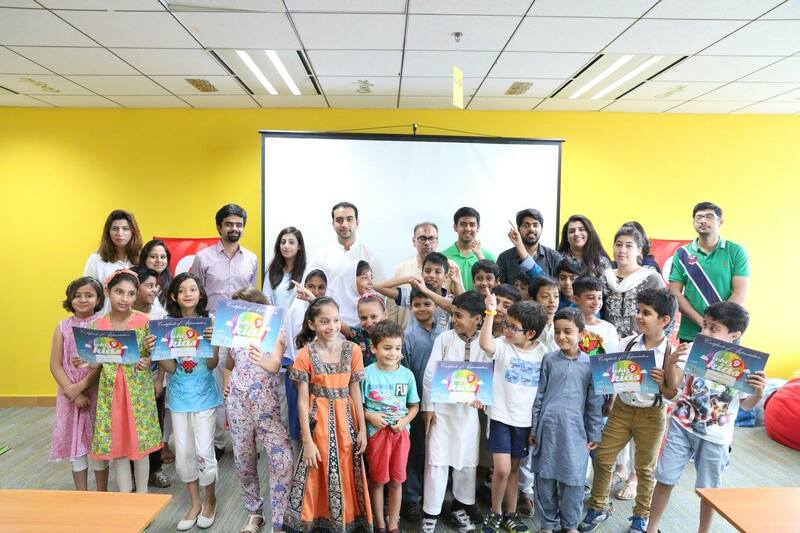 Whiz Kids Summer Camp – Discover Your Passion from plan9.pitb.gov.pk on Vimeo. So here’s how it begins. As someone who heads the incubation program, I make sure my bright teams and extraordinary startup founders spend a month with these kids, with their interactions spanning over 400 contact hours in total. Through these efforts of infecting the entrepreneurial virus while these kids are young, we’re shaping a mindset that is extremely important in cementing the foundations of a rather nascent entrepreneurial ecosystem, something we along with our partners are working diligently towards strengthening within Pakistan and the region as a whole. Our population is expected to exceed 300 million by 2050; through programs like WhizKids and the likes, so many of these children are being trained to become “problem-solvers”, converting them into ‘assets’ for Pakistan. My team at the incubator value these interactions immensely; it is important, because these children give them an unmatched boost of energy and positivity. These interactions help them realize the emphatic role they’re playing in shaping the future generations of this country. Hence it further hones their focus and the desire to make each day count. Besides having fun with the kids, they teach, they learn — unlearn — relearn. Not only do they inspire, they get inspired. More often than not, school children of this age are labeled as disruptive at home. We refer to it as “reverse engineering”. It is an increasing level of curiosity that drives such behavior and at the incubator, we appreciate it. However, it needs to be channeled and tweaked, made productive rather than disruptive. “It’s now up to you to stop car accidents”, they are told at Robo9 for example. This feeling of importance and a newly granted sense of responsibility helps a child dive bravely into an entirely untapped learning zone. They now want to help others like their superheroes do in their favorite movies and comics. In other words, the same “disruptive” kid feels empowered enough to have an impact and bring a positive change. There is an important element that binds them all together; the children, their future and our pursuit of a strong entrepreneurial landscape. That element is the parents. So here’s the math; parents spend approximately 3400 hours every year with their children (excluding school hours); that’s 8.5 times more contact hours as opposed to a team of four founders trying to build a startup at the incubator! Imagine the impact a parent can have when shaping a child’s mindset. They can become major catalysts of change and transform societies if only they invest quality time and efforts on their children, raising them to become extraordinary. We, as households, need to celebrate variables that make our children “different”. Give them enough confidence that they start believing in themselves. Be their support even when they “fail” as humans or as young innovators. We need to instill this faith, first within ourselves and then in our children that failure is not a bad thing — it only equips us to become more effective for our future endeavors. It is time to embrace the strangeness and gear up for exciting times ahead. The story originally appeared here and has been reproduced with permission. The post Channeling Energies – Raising Problem Solvers appeared first on TechJuice.